It’s January and the cold weather has moved in, and kitchens all across cold regions of the world begin to smell of stews and soups, which are so comforting in the winter months. Let’s talk about rabbit. I have had my experiences with cooking rabbit. I have tried different techniques such as marinating it overnight in buttermilk & herbs then deep frying it. I have also baked it alongside my Thanksgiving turkey to give the holidays a twist, which turned out to be a hit. Lately I have been trying to learn French techniques in the kitchen and the French love rabbit. Fricassée de Lapin is the sort of comforting home cooking you will find in farmhouse kitchens and small, cozy neighborhood restaurants in France. In some regions such as Normandy, rabbit is treated much like chicken is in America and enjoyed frequently. Some say rabbit tastes like chicken, but in my opinion it has the same texture as chicken but its own wonderful flavor. 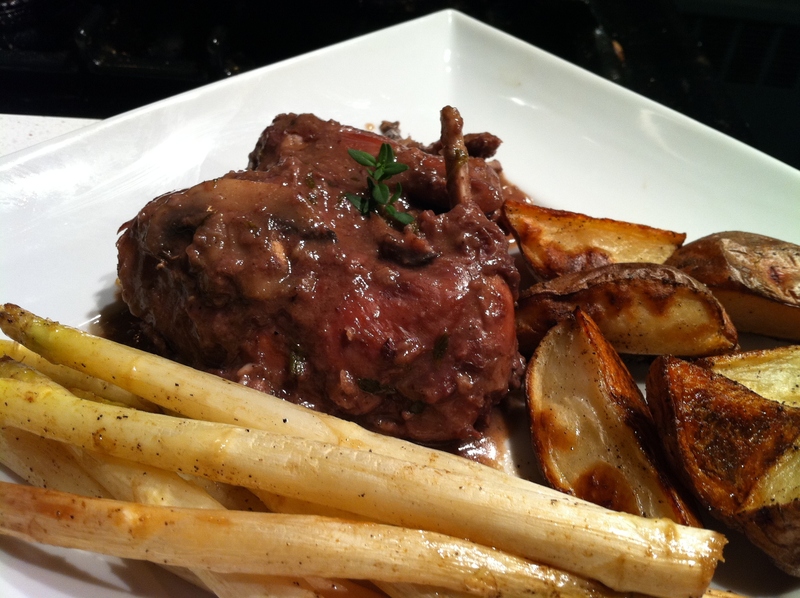 This is another easy French dish the home cook can make for the family during these cold winter months. Bon Appetit! Cut the rabbit into eight pieces. Put the flour into a plastic bag and add the rabbit. Shake to dust with flour. Melt the butter over medium-high heat; add the rabbit, turning to brown evenly.Add the wine and boil for 1 minute. Add enough stock to just cover the meat. Add the garlic and herbs and simmer for 1 hour, or until the rabbit is very tender and the juices run clear. Stir in the mustard, and mushrooms cook for 10 more minutes and add salt and pepper to taste. Strain the sauce. Serve the rabbit with a bit of the strained sauce. You can also add the cooked mushrooms to the finished dish. 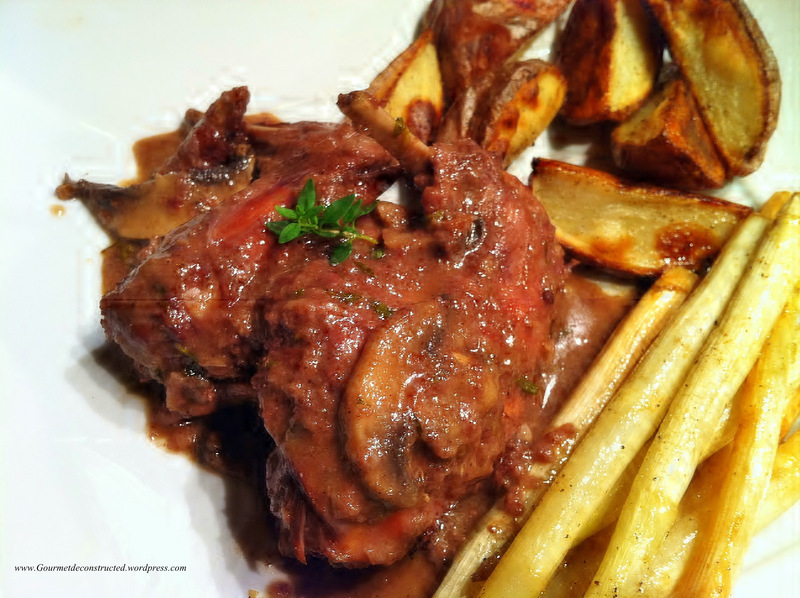 Posted on January 8, 2012, in Wild Game and tagged wild game rabbit french stew. Bookmark the permalink. Leave a comment.